Gavali Skincare Anti-Wrinkle Cream Review: Is it Really Effective? Gavali Skincare Anti-Wrinkle Cream is an anti-aging cream that presents itself as an “ageless” face moisturizer, intending to provide support to the tissues of your skin and promote a healthy appearance in the process. This product is sold in one-ounce jars and is sold directly by the manufacturer, although we were unable to find information on pricing. However, there was extensive mention of a trial opportunity, which may indicate a “trial and autoship” program – in which case it is quite likely that the per-jar cost of the product will be very high. Wash your face and gently pat dry before applying a small quantity of the product to your fingertips and massaging it into your face and neck (if desired). Use daily for best results according to the manufacturer. 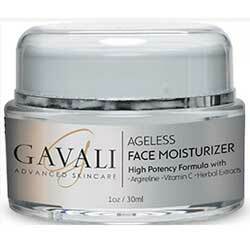 Gavali Skincare Anti-Wrinkle Cream does not give us a lot of information to base a judgment upon. 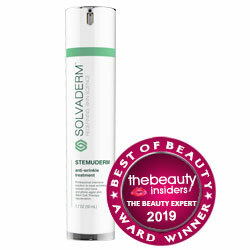 While some of its ingredients are widely used in other anti-aging supplement products, we don’t know how much of them are available, and the emphasis in the relevant websites on signing up for a trial sample immediately smacks of “trial/autoship” programs, which are often very costly. There are beauty products available for every budget, and many of them are far more open about their active ingredients and how they work than this product. We encourage you to shop around to find what best fits your own situation.